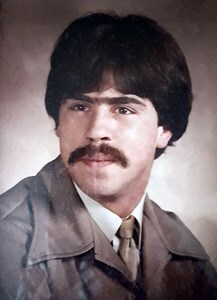 Newcomer Family Obituaries - Brian Rudd 1965 - 2019 - Newcomer Cremations, Funerals & Receptions. Brian Rudd, age 53 of Gahanna, passed away at his residence on February 7, 2019. He was born on May 30, 1965 to the late Marvin and Grace (Casey) Rudd in Columbus, OH. Brian is survived by his wife of 11 years Terri Avena, children Katie Rose Avena-Rudd, Amber Rudd, Jessica Avena, C.J. Rudd, Robert Davis and Anthony Brewer, grandchildren Sean, Thomas and Cameron, siblings Joyce (Joe) Decker, Marvin (Connie) Rudd, Danny (Sherry) Rudd, Carol (Phil) Davis, Debbie (Will) Wallace and Kevin (Colleen) Rudd, mother and father-in-law Joseph and Pearl Avena, sisters-in-law Toni Avena and Roxanne (Eddie) Lee, many nieces and nephews. Along with his parents, Brian is preceded in death by sisters Sharon Kitzmiller and Robin Raider. Friends may call at Newcomer Funeral Home, NE Chapel, 3047 E. Dublin Granville Rd., Columbus, OH on Tuesday, February 12, 2019 from 5pm to 8pm. In lieu of flowers, memorial contributions may be made in Brian's name to The Richard M. Ross Heart Hospital, 452 W. 10th Ave., Columbus, OH 43210. Add your memories to the guest book of Brian Rudd. What a great guy. Sorry I didn’t get to know him better. Thoughts and prayers are with your family. Deepest sympathy for your loss. I will never forget the times you made my friends and I laugh endlessly, the times you joked with us, and everything you did to make us feel welcome in your home. We'll all miss you. Brian - It surely does not seem real that you are no longer with us. You were a kind, funny guy! You will no longer have to suffer. May you RIP Big Daddy! It seemed as if each one of us played a part in our family. From the time you were little your part it turned out to be was a great story teller. We would sit for hours as your imagination took us on adventurous trips. Thank you for that! I especially will remember you for you kind heart and sense of humor. RIP...Love you. I Love my nephew very deeply.He always had a smile.He was a very sweet person. He would do anything for you.He was more like a brother to me.Sadly missed.your aunt corky. A gentle man & a gentleman always with a kind word and a smile. Pete and repeat ~ BLAHAHAHAHAHAHAHA!!! Always a great memory Jenn!! I absolutely cannot believe this is happening! You always came through, you always beat the odds! Our very own cat with nine lives. I know that you will ALWAYS be with me, you ALWAYS have but take my love with you and be waiting for me. I can't even imagine the days ahead. You were right, the one left behind is not the place you want to be. At least I can still hear your voice and feel you all around me! I promise I will make sure your Katie Rose is ok! Sorry for your loss , your in my thoughts and prayers while you deal with your heavy hearts .